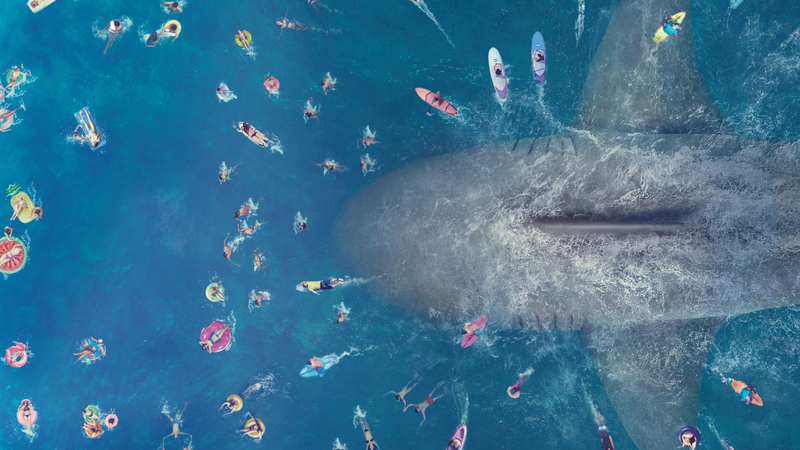 Loosely based on a series of trash sci-fi horror novels, The Meg surges into as many multiplexes as it can muster this weekend hoping to offer the kind of Jaws-lite jolts that enraptured a generation back in 1977. It’s also very conspicuously the type of American-Chinese co-production that we’ll undoubtedly see more of given the choppy waters of the US box office. Jason Statham – complete with his unique brand of Anglo-American sneer – is the action star selected to battle nature’s finest, this time in the guise of 75-foot prehistoric predator Megalodon. Long-thought extinct until an underwater research facility in the South China Sea enters its ancient hunting grounds, this enormous relative of the Great White takes its revenge on 21st century humanity – well, anyone in or around the sea at least – with Statham’s grizzled diver Jonas Taylor and his band of merry character archetypes in hot pursuit. Anyone even vaguely familiar with the Jaws/Piranha/Sharknado franchises will feel right at home in The Meg’s second half, as thoughts of tranquillising the beast for scientific study quickly give way to, in Statham’s own vernacular, making it “bleed”. A coastal resort packed with selfie-stick wielding tourists is soon in Megalodon’s obsidian sights, offering up a handful of the film’s best moments – and a star-making turn from Kelly the Dog as Pippin the Pekingese. The Meg’s international box office – particularly that of China, Japan and South Korea – will likely have the deciding vote in whether or not Statham and company will return to cinema screens to fight even larger leviathans in the future. However, there’s just enough thrills and gills here to satisfy both monster-movie junkies and advocates of multi-million dollar US/Chinese co-productions.